Vietnam is one of the developing countries in Southeast Asia have increased the demand level of electricity use is high, while the proportion of fossil fuels used in power generation is still quite large. Besides risk shortages caused by fossil energy reserves are being depleted, the use of fossil fuels are polluting, major impact on the environment is also a reality that Vietnam faces. Meanwhile, Vietnam is known to be a pretty big potential countries for renewable energy (RE) but currently only exploited and used a very small proportion. So far the project has the size and scale in our country are very few, the proportion of installed capacity from renewable energy power plants in the total installed capacity of the whole system is very modest. Although there have been many efforts to promote renewable energy development and power from renewable energy in the planning of power development recently, especially electricity planning VII, but the development of renewable energy in Vietnam is still not commensurate with the potential power. Besides, Vietnam is also not meet the development objectives of the development strategy for renewable energy in Vietnam to 2030, vision 2050 newly approved, as well as the National Strategy for Green Growth, copper time does not ensure Vietnam’s commitments in the World Summit of the United Nations on climate change (Paris agreement). Promote the use of renewable energy is the trend of the countries in the world by the important role and primacy Vietnam of them, especially in the context of technology production of electricity from renewable energy is growing very fast, gradually ensure competitive with traditional energy sources. Therefore, increasing the proportion of electricity produced from renewable energy is an essential requirement for the development of all of the electrical system, should be included in more detail in the planning for Vietnam power. According to Power Planning VII (adjusted), in 2020 electricity demand in Vietnam reached 265 billion kWh and 2030 reached more than 572 billion kWh. The total installed capacity of 60,000 MW by 2020 and will increase to 129,500 MW in 2030, of which thermal power will account for increasing until 2030. In particular, if in 2015-2016 thermal power only 34% of the 2020 up to 49.3%, in 2025 to 55% in 2030 and 53.2% will stay at. For electricity from renewable energy (including hydro) limited gains. Specifically, in 2020 about 6.4%, about 6.9% in 2025 and 2030 was 10.7%. In terms of the structure of energy sources for electricity generation, as reported by the Center for the National Power System in 2015, accounting for 54.15% thermal power generation capacity by type of fuel (including coal thermal power 28, 88%, 21.85% and gas thermal power and thermal oil 3.42%); 39.96% hydro and 5.9% is renewable energy which mainly small hydro, wind and solar energy still accounts for a very small proportion. Currently, three main sources of hydroelectric generators, thermoelectric and thermal power and gas, accounting for over 94% of the total generating capacity in the power system of our country. Renewable energy is not much use for electricity generation, 88.6% further to electricity produced from renewable energy in our country is from the small hydropower plants (Nguyen Ngoc Hoang, 2015). In particular, wind power and solar power contributes only a very small structure of power production in the country. According to an annual report summarizing Dispatch Center of the National Power System, the installed capacity of electricity production from renewable energy sources by 2014 is 2,009 MW. Specifically, the 1,938 MW small hydro, biomass, 24 MW and 46 MW of wind power, solar power 1MWp (Center for the National Power System, 2015). Ministry of Trade (MOIT) with the support of the World Bank, has conducted wind measurement model in three-point option, contributing to the redefinition of wind potential in Vietnam (2007). The results of this study, along with other data was MoIT used to update wind maps for Vietnam. Results assess wind potential at a height of 80m is shown in the table below. In general, wind power potential Vietnam through assessment data also differ due to the scale and extent of various studies. However, Vietnam is evaluated as having great potential for this energy source. Source: Center for meteorological data, in 2014. South Central region and Central Highlands potentially highest solar power by land area and total solar radiation highest in the country. According GreenID, potential can be exploited for power production from solar energy in Vietnam is estimated at 13,000 MW. Meanwhile, the total installed capacity of solar cells to produce electricity only about 5 MW in 2015, mainly for the purpose of research and rural electrification. With the rapid development of science and technology, the cost of electricity generation from renewable energy sources is declining rapidly and now more and more competitive. According to the assessment of IRENA, the cost of electricity from solar energy can reduce 59% and wind power can be reduced by 26% during the period from 2015 to 2025. Specifically, the average cost of electricity for onshore wind power can be reduced by 26% and up to 35% for offshore wind power. Technology convergence for solar CSP (CONCENTRATED solar power) can be reduced by at least 37% and Technology PV Photovoltaic (Solar Photovoltaic) can be reduced to 59%. Source: International Renewable Energy Agency (IRENA), 2016. As assessed by Lazard, the production costs of wind power by 2017 in the US only 33% compared to 2009, down from $ 140 / MWh to $ 46 / MWh in just 8 years. Production costs of solar electricity from there the reduction was even greater, down 86% from 2009 down to US $ 46-53 / MWh today. Moreover, competitive pressures will increasingly promote continuous innovation, prospect generation cost from the solar energy, wind energy will decrease rapidly in the future. The structure of power for 2011-2020 Vision 2030 was set out in the Electricity Planning VII (adjusted) and are summarized in Table 4. Accordingly, the electricity produced from renewable energy sources accounted for 6.5 % 2020; 2030 this figure increased to 10.7%. Source: Decision No. 428 / QD-TTg, 2016. When the proportion of electricity produced from renewable energy increased due to investment rate for wind power and solar power plummet on current trends, the rate of power capacity from renewable energy entirely feasible as far as planning was launched. 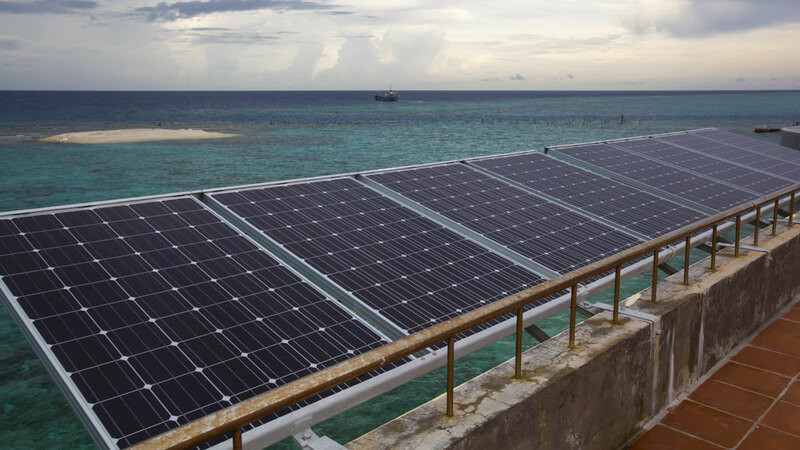 According to preliminary calculations, the proportion even of renewable energy could be increased to 12.6% in 2030 to ensure a certain binding conditions. In short, technology trends electricity from renewable energy shows, development of renewable energy sources in general, wind power and energy-solar energy in particular for electricity generation has had great prospects and is an effective solution to achieve the goals set out for energy security as well as emissions reduction commitments of Vietnam in agreement at COP21. It is also the basis for a strong future transformation in the energy sector and in power generation using renewable energy. The shortage of traditional energy sources for production of electricity in Vietnam can fully offset by the exploitation and use of renewable energy sources if the appropriate policies. There is lack of information and incentive policies for renewable energy development, these barriers need to be overcome to implement effectively to ensure optimal coordination between the traditional energy sources and renewable. For a country emerging as Vietnam, to accelerate the participation of renewable energy in general and wind energy, solar energy in particular for electricity generation plays an important role not only in meeting power needs but also ensure sustainable development of the economy. 1. Decision No. 428 / QD-TTg, 2016, approve the adjusted planning national electricity development in 2011-2020 taking 2030. 2. The Ministry of Trade, in 2013, Project PECC3 “wind resource assessment in some selected locations in Vietnam”. 3. The Ministry of Trade, in 2011, the development planning National Electricity period from 2011 to 2020, with a 2030 (Electricity Planning VII). 4. 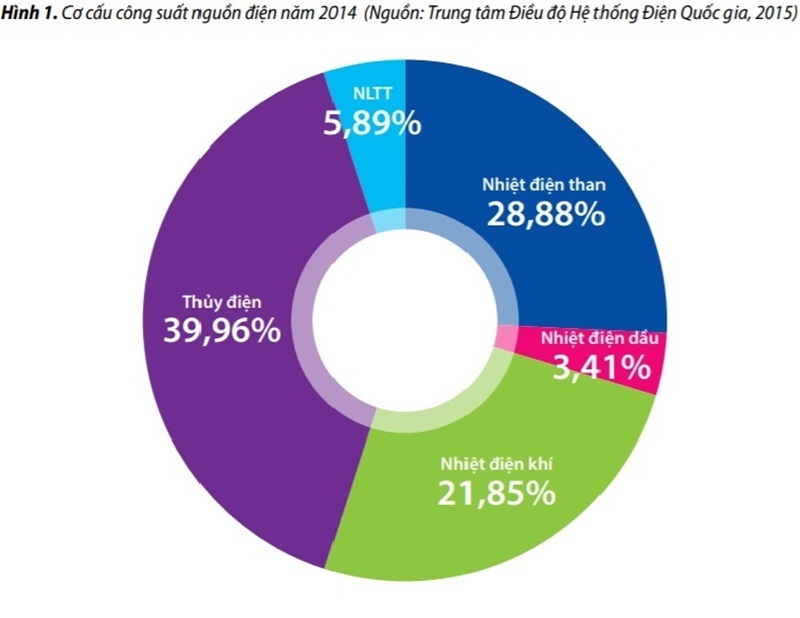 Nguyen Ngoc Hoang, 2015, Report on Power Sector – Message from the competitive market. 5. Bui Huy Phung, 2013, the Energy Development Strategy and green growth in Vietnam, Journal of Science and Energy. 6. wind energy project GIZ, 2011, information about wind energy in Vietnam. 7. Creative Development Center Green (GreenID), 2016, Corrigendum misunderstandings about renewable energy in Vietnam. 8. Dispatch Center National Power System, 2015, Annual Report, 2015. 9. Center meteorological data, in 2014. 10. International Renewable Energy Agency (IRENA), 2016, The Power to Change: Solar and Wind potencial cost reduction to 2025. 11. International Renewable Energy Agency (IRENA, Renewable Generation Costs in 2014.